Hello Friends! It has been a while since I could blog! That is what Back to School does to me I guess! It has been a whirlwind of a couple weeks and I am happy things are finally settling into a routine! 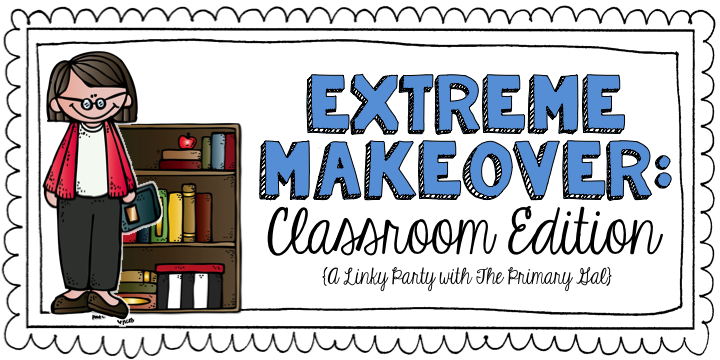 Today I am going to link up with The Primary Gal Linky-Extreme Makeover: Classroom Edition! 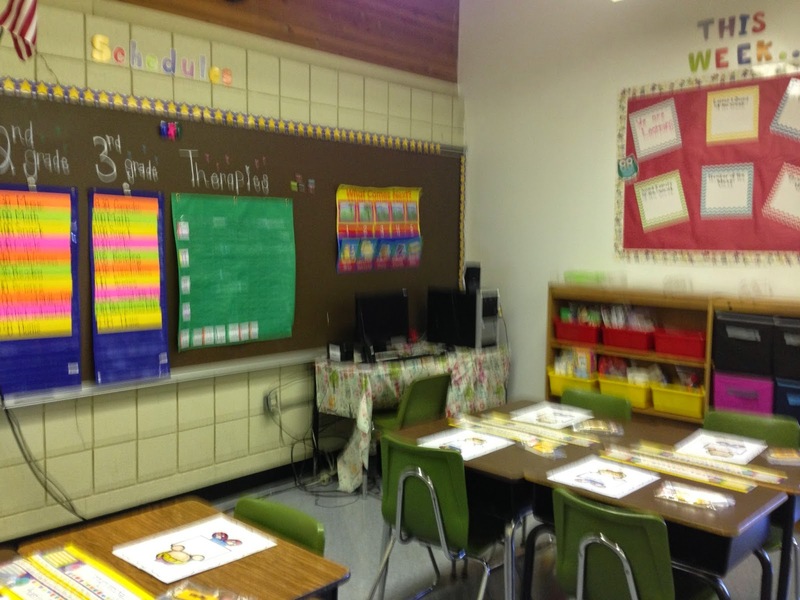 Remember, I am an intensive needs teacher so my classroom set up is not traditional! 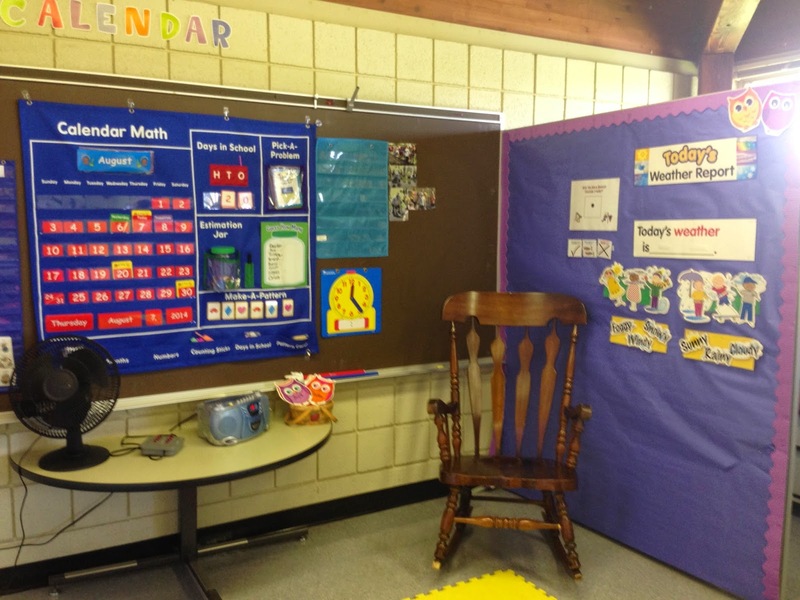 I have seven students and we do very little whole group instruction, everything is individualized to the students abilities based on their IEP and the Ohio Extended Standards. I have three instructional aides in the classroom and they collect data and review curriculum so that means we needs lots of small group ares! Enjoy the tour!! Student desks and computer center. 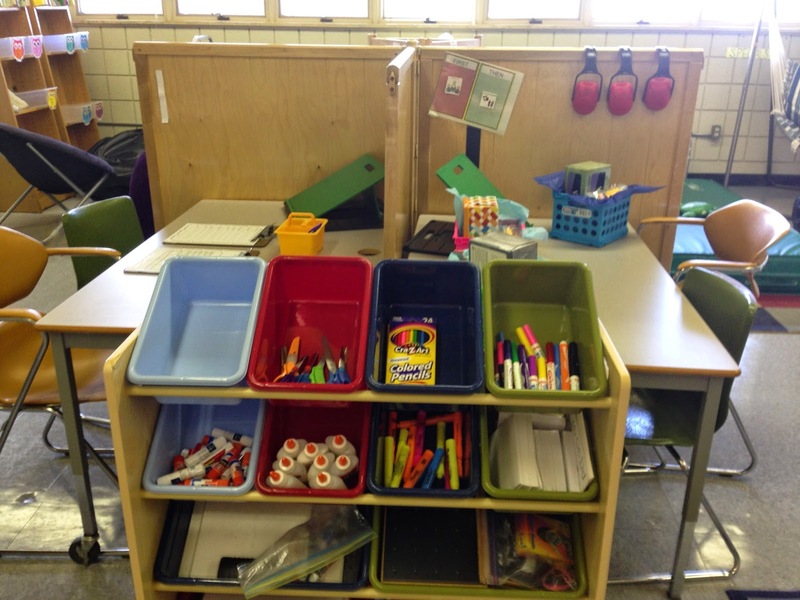 This is the first year I am using student desks. They did really well last year with the desks in their general education homeroom so I am generalizing that skill in our room! 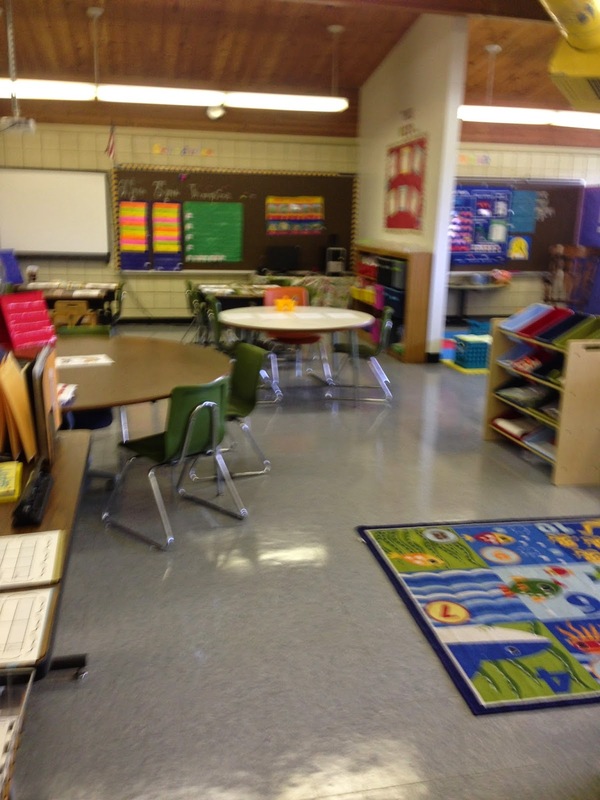 Circle Time Area: This is my favorite area. We do a pretty intense circle time with lots of sensory and movement. These are skills that my kids struggle with and once they leave me for 4th grade they don't get as much review for it so I really try to hammer these skills and we have SOOOO much fun! 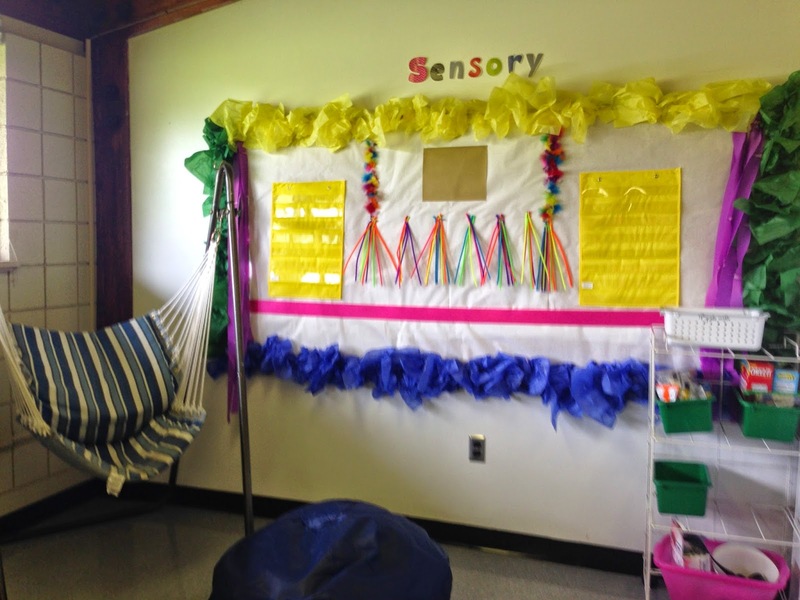 Sensory area: My students really need sensory breaks incorporated into their day. 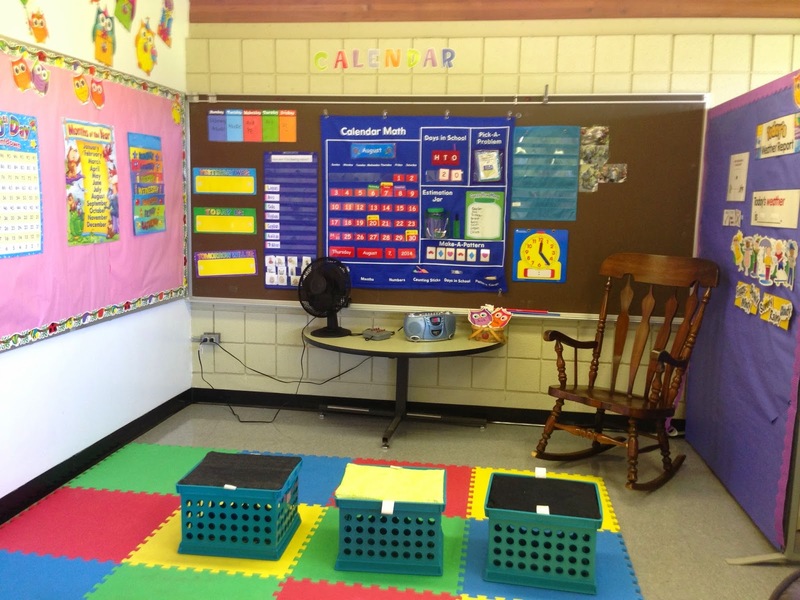 I like to think of it as a "sensory diet" and the kids rotate into this stations during centers. 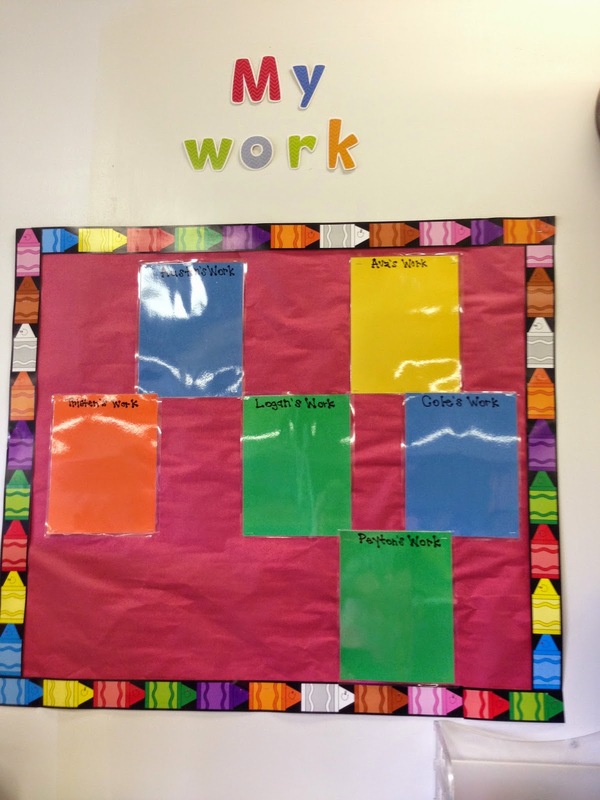 This helps them stay focused and get a little break so they are ready to learn. 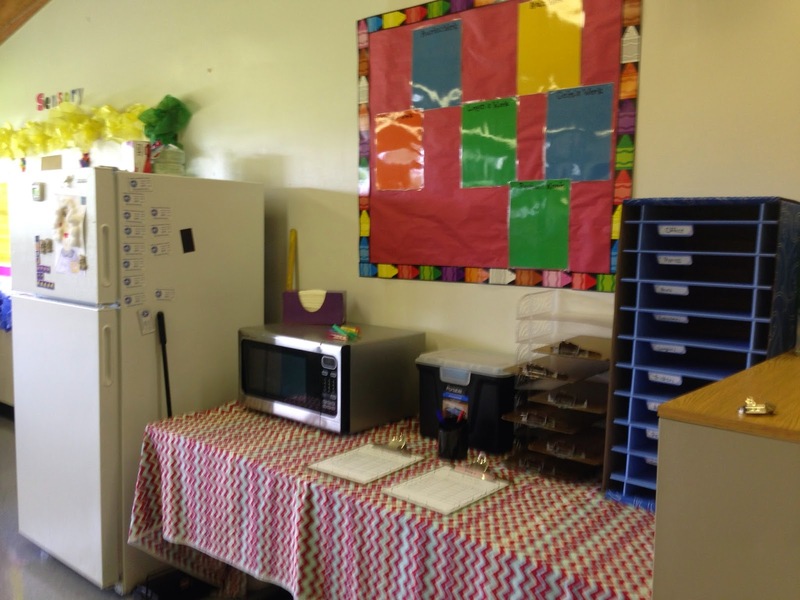 Organization Station: This is where the kids mail boxes are, a place for the instructional aides and I to keep our papers, and organize things that the students bring in from home. It is also where our "Kitchen" is located. Students bring in snack for the pantry to work for reinforcement as well as work on communication skills and making a choice during snack. I have a HUGE room and there are many walls without cork boards. So I just created my own and stapled them to the dry wall---it worked! haha! 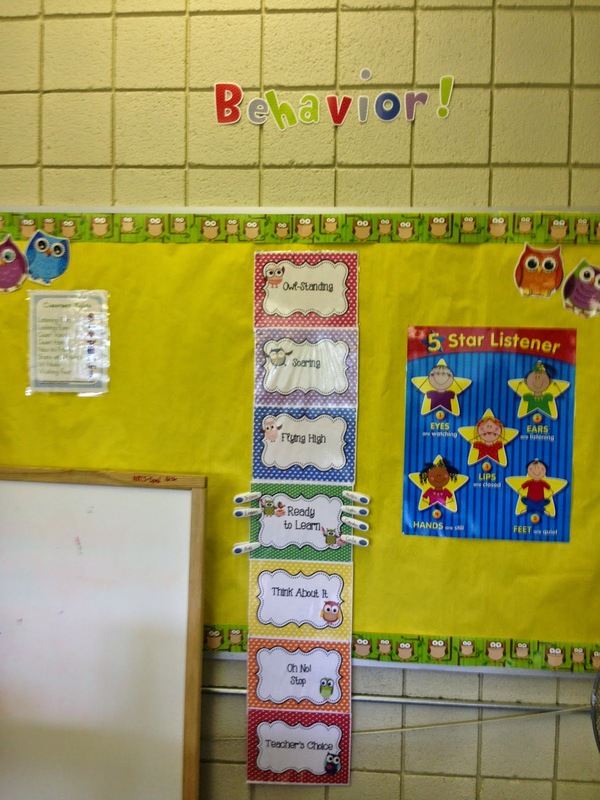 Super Star: This board is for student of the month! Since I have 7 students we do 1 student a month! 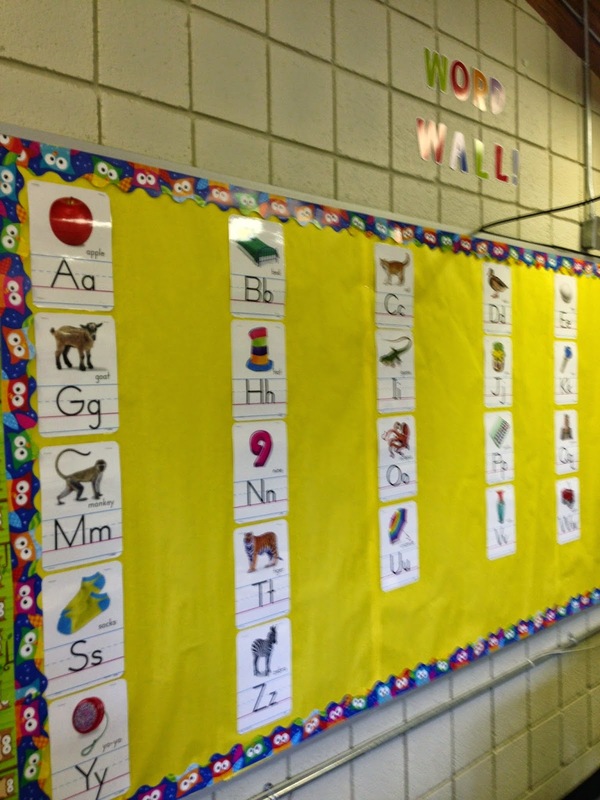 Sensory: This board is a sensory board that is in my sensory area. The kids can touch and feel everything on the board. 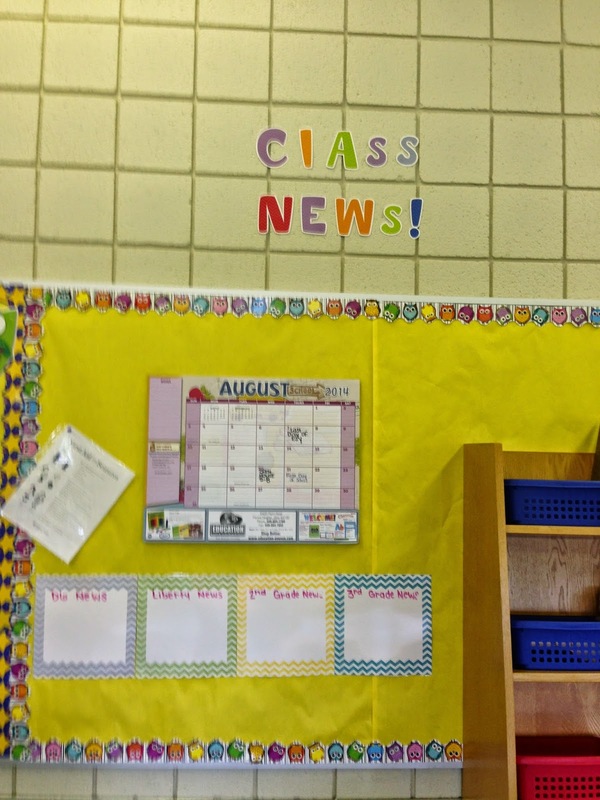 Class News: Calendar for grade level, classroom, school, and instructional aide information! This week we are learning.... 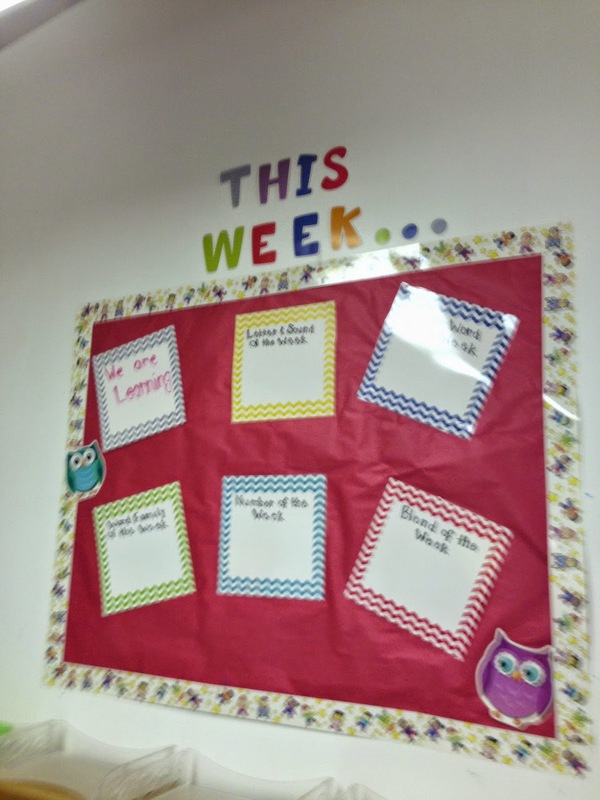 Skills of the week (letter, letter sounds, sigh word, blend, word family, and number of the week. Hope you enjoyed! 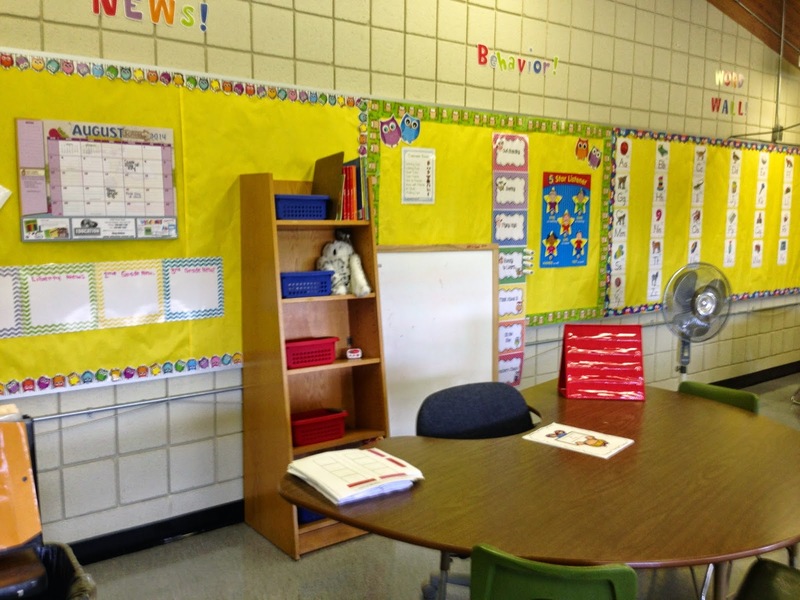 Head over to The Primary Girl and check out the other classroom reveals! 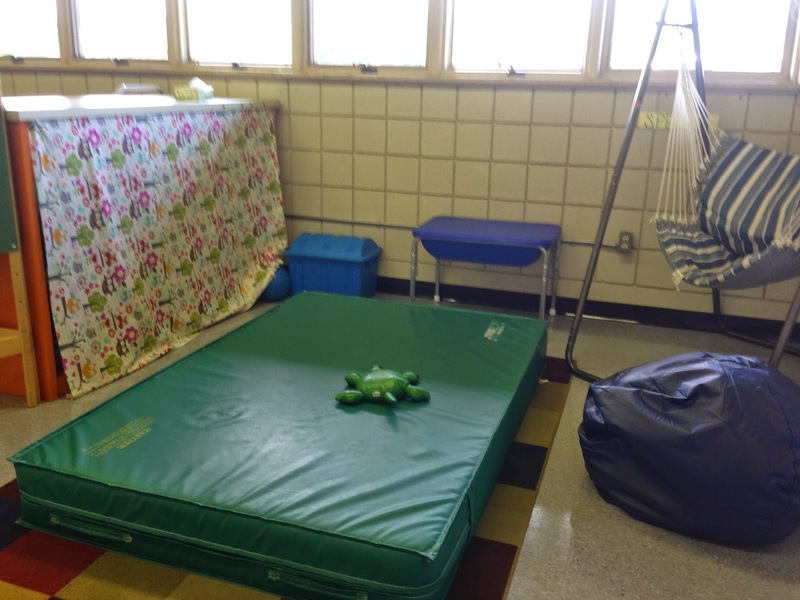 You've done an amazing job of incorporating your student's needs into your room. I love it!